WASHINGTON (Sputnik) - The US midterm elections left Congress a legislative branch divided after the Democratic Party flipped 34 seats to take control of the House of Representatives while Republicans kept a majority in the Senate. Republicans controlled both chambers of Congress before Tuesday’s midterm contests, and now that the legislative branch is split US President Donald Trump will face a new challenge in trying to get his policy agenda implemented. House Democrats were projected to capture 229 seats and the Republicans 206 as a result of Tuesday’s midterm elections, according to several networks such as NBC, ABC and FOX News. The Republicans, before Tuesday’s midterm, controlled the 435-seat House by a 240 — 195 majority. The minority party to seize the House needed to flip a net of at least 23 congressional districts from Republican "red" to Democratic "blue." The so-called "blue wave" hoped for came to fruition for the Democrats on Tuesday night. As the voting count started, leading pollster John Zogby told foreign reporters that the midterm election day turnout was very high in all districts that Democrats needed to win to recapture the House. 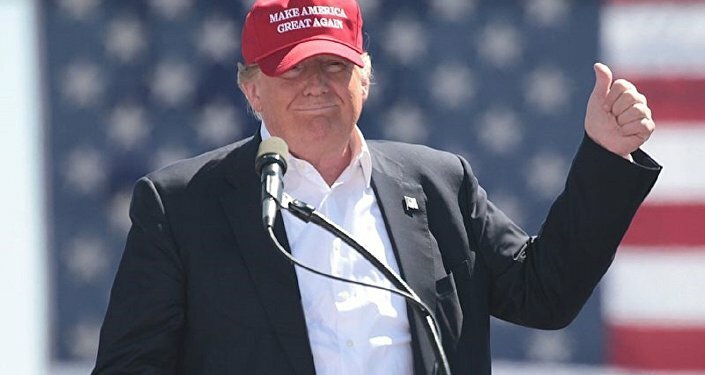 Early results and projections from exit surveys began to roll in shortly after polls closed in many US eastern states at 6:00 p.m. EST (2300 GMT) on Tuesday. US Democrats scored early by flipping four of the 23 seats they needed to win to take control of the US House of Representatives in crucial battleground states Pennsylvania and Florida. Two Democratic Party challengers in the state of Pennsylvania, Conor Lamb and Mary Gay Scanlon, delivered major victories early on by ousting two Republican incumbents in key congressional districts. Lamb, a former US Marine and federal prosecutor, was leading incumbent Republican Keith Rothfus by a wide margin of 59.4 percent to 40.6 percent with just over two-thirds of the votes counted. Scanlon, a veteran civil rights lawyer with three children was sweeping to victory with 61.1 percent of the vote compared to 38.9 percent for Republican Pearl Kim. Other early critical victories for the Democrats included Jennifer Wexton, who ousted Republican Representative Barbara Comstock in the US state of Virginia’s 10th congressional district, with 75 percent of votes counted, CBS News reported. In Florida, Donna Shalala, Secretary of Health and Human Services under President Bill Clinton, won an open House seat that had previously been held by a Republican. Republicans are projected to keep at least 51 seats in the 100-member US Senate, according to CNN exit polls. Democrats were projected to win 43 seats, with just half a dozen races still undecided. Just as Democrats made gains in the US House, the Republicans captured a Senate seat that blocked off a key pathway for their rivals to take control of the upper chamber of Congress. Democrats needed to pick up two seats to win a majority, but Republican candidate Mike Braun defeated incumbent Democratic Senator Joe Donnelly in the state of Indiana. Later, US incumbent Senator Ted Cruz defeated Democratic opponent Beto O'Rourke in a key US Senate race in Texas, which effectively clinched control of the Senate for Republicans. Cruz defeated O’Rourke by a 52 to 48 percent margin, the Texas secretary of state’s office reported based on 90 percent of precincts reporting. It was a disappointing turn for the young upstart O’Rourke who was actually leading the race by up to 18 points at the outset, with about 13 percent of votes counted. Another high-profile Senate race was in Florida where Republican Governor Rick Scott defeated Democratic incumbent Bill Nelson. Scott had secured 50.4 percent of the vote, with 99 percent of the votes counted, according to FOX and the New York Times exit polls. A major foe of Trump prevailed in West Virginia as incumbent Democratic Senator Joe Manchin upended Republican challenger Patrick Morrissey by a four-point margin. Other major incumbent Senators won reelection including Bernie Sanders in Vermont, Dianne Feinstein in California, Ben Cardin in Maryland, Robert Menendez in New Jersey, among others. Trump in a statement immediately after the projections said he saw the night’s developments as a success. "Tremendous success tonight," Trump said in a Tweet on Tuesday. "Thank you to all!" White House Press Secretary Sarah Sanders after the elections said the president reached out to congratulate Republicans while only talking to members of the Democratic Party. "Tonight, President Trump called [Senate Majority] Leader Mitch McConnell to congratulate him on the historic senate gains. He also spoke with Speaker Paul Ryan and Minority Leader Nancy Pelosi. The President called to congratulate Rick Scott, Mike DeWine, Kevin Cramer, Josh Hawley, Brian Kemp, and Ron DeSantis. Lastly, the President talked to Sen. Chuck Schumer," Sanders said. House Minority Leader Nancy Pelosi told a rally that the election results are about checking the Trump administration’s abuse of power but also vowed to attempt to cooperate with Republicans. "We’ll have accountability and we will strive for bipartisanship with fairness on all sides," Pelosi said after the election projections were announced on Tuesday. "We will have a responsibility to find common ground where we can, stand our ground where we can’t… but we must try." One of the next steps for the Democrats will be to elect a Speaker of the House. Pelosi earlier this year told reporters she would run for the position if the Democrats take the House. Meanwhile, Pelosi’s chief of staff Drew Hammill said that Trump called Pelosi to congratulate her for winning the House. "He [Trump] acknowledged the leader’s call for bipartisanship in her victory remarks," Hammill said. US stock futures rose as investors welcomed the prospects of gridlock in Washington, CNBC reported shortly after the results were announced. Wall Street looks forward to gridlock in Washington, the report said, to keep a check on Trump’s more disruptive market actions such as sparking a trade war with China. Now that the Democrats have taken the House, many are expecting them to intensify probes of Trump’s ties with Russia among other issues. Congressman Ted Lieu took to Twitter to send the Republicans and the White House a warning message along those lines. "You know what's super cool for @HouseJudDems on the Judiciary Committee now that Dems have won the House? No more stupid hearings in @HouseJudiciary about Hillary Clinton's emails," Lieu said on Tuesday. "Instead, we are going to conduct real oversight over @realDonaldTrump and his Administration." Controversies over racial discrimination especially in the state of Georgia and technical issues marred the midterm election process on Tuesday. In addition to congressional contests, 36 states held gubernatorial races on Tuesday, the most notable of which was the racially-charged contest in Georgia, where a federal court recently prevented state officials from suppressing the vote by wrongly trashing 3,000 ballots of people tagged as noncitizens. With 94 percent of precincts reporting on Tuesday, Republican Brian Kemp held a 7 point lead over Democratic candidate Stacey Abrams, who is vying to become the state of Georgia’s first black governor. During the campaign Abrams accused Kemp, in his role as Georgia’s secretary of state, of purging blacks from voter registration lists. On Monday, Kemp, for his part, on the eve of the election accused Georgia Democrats of hacking the state’s election systems and opened a probe. On Tuesday, in the very same state of Georgia, voters at four precincts in Gwinnett County had to cast paper ballots because of technical issues with voting machines, the New York Times reported. Gwinnet County has been at the center of the allegations that Kemp attempted to disenfranchise voters. Kemp ahead of the election "suspended" around 50,000 early voting ballots for incomplete information and so-called signature mismatches. 40 percent of all ballots rejected statewide came from Gwinnett, a county where 60 percent of residents are Latino, Black or Asian. In addition, heavy turnout in Fulton County, Georgia caused lengthy delays at certain polling locations, US media reported. Fulton County Elections Director Rick Barron admitted that his staff sent the wrong number of voting machines to one precinct, causing extra-long lines, the Atlanta-Journal Constitution reported. US authorities also urged voters in South Carolina’s Richland County to review their selections on glitchy touch-screen machines before submitting final ballots amid reports that their votes were changed, News 19 television reported on Tuesday. 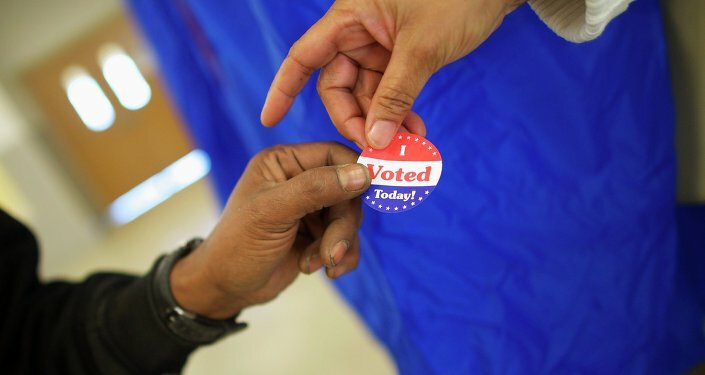 The Justice Department earlier this week said it was deploying officials from its Civil Rights Division to polling stations in 19 states to make sure laws protecting minority voting rights were enforced.